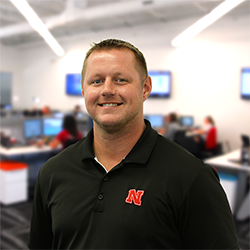 This week we're showcasing new Sales Executive, Mortgage Investor Relations, Zac Rabe. Zac lives in Lincoln with his wife Kali and their dog Rex. Favorite things to do on his days off: I enjoy golfing, watching sports, working out, hanging out with friends and family, and being with my wife and dog. Favorite place to travel: Phoenix or Denver. Favorite time of the year: Fall because it’s football season. What made him want to work at Mortech: I was approached by a current employee/long time friend regarding an open position here and the more I learned about the culture and how much the people enjoyed working here, the more I wanted to be a part of it. One interesting fact about him: I have met Michael Jordan. Last time we showcased Associate Account Manager Mike Russell, which you can read here. Or to learn more about Marksman, you can click here.